Do you need definitive cyber insurance market data? Succinct cyber insurance market analysis? 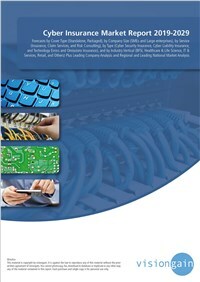 The key player is publishing this report on the $4.3billion Cyber Insurance market, which is expected to flourish in the next few years because of the increasing number of cyber attacks and also because government policies making cyber insurance mandatory are expected to feed through in the latter part of the decade driving growth to new heights. If you want to be part of this growing industry, then read on to discover how you can maximise your investment potential. How is the Cyber insurance market evolving? What is driving and restraining the market? What are the market shares of each segment of the overall Cyber insurance market in 2019? How will each Cyber insurance submarket segment grow over the forecast period and how much revenue will these submarkets account for in 2029? How will the market shares for each Cyber insurance submarket develop from 2019 to 2029? How will the market shares of the national markets change by 2029?